This has to be my favourite challenge ever! I found 3 metres of this very popular 'Royal Stewart' tartan in a wool and acrylic blend in a charity shop earlier in the year. I really love the colours on this tartan! I revisited Simplicity 3196--because it's such a great classic skirt pattern. I was inspired by McQueen's unfinished edges on the full skirt dress with the shash and silk tulle petticoat. I was also inspired by his high waisted skirt pattern--so I combined the two in my creation. I used the selvage for the bottom of the skirt to give it that unfinished fringe. It's a little less pronounced since it's not 100% wool but it does have a nice fringe effect going on (plus--I didn't have to hem it!! YAY!). In order to make sure the skirt was even all around, I had to adjust it during the cutting out process (I made sure to line up the tartan stripes such that it hung 1/2 inch longer in the back) by adding the extra length at the top and using the waistband to cover up the difference. I also made the waistband higher so that I could accommodate larger belts. I borrowed one of David's great belts with a neat Celtic inspired belt buckle. I used an extra piece of fabric from selvage to selvage to create the shoulder sash (which is removable). I borrowed the idea of wrapping it around my neck and I fastened it with another Celtic inspired brooch at the neck and then loosely tied it under the belt! I really love how it looks--a sort of modern twist on a traditional Scottish look. Ha ha ha. Sweet. Well done, me lassie! You look fabulous! You really captured the Alexander McQueen feel. The ensemble is so sassy and edgy, but can also be easily toned down. Great job! It look amazing. Definitely very McQueen. Well again you have created a fabulous look that is just great on you. How cute do you look!!!!! and I'm loving the scenery... Your photos always look so cool! Fantastic tribute outfit and so chic on you. Love it! You are so cute, love the whole outfit. I enjoy seeing all your dedication to this craft we call sewing. 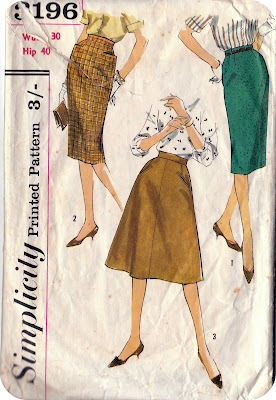 You inspire me to keep sewing even with my current busy life. Love the plaid! I love that you took action on your inspiration and were so successful. That make YOU an inspiration! Debi, this is amazing. And you carry it off so well. I love tartan. Asides from the lovely Alexander, Vivienne Westwood springs to mind. I feel some tartan coming on too! Awesome - you will be able to wear this so many ways! I'm always partial to a selvedge/unfinished hem, not just because it saves time! Fabulous styling! You really know how to rock the tartan! Wow! You managed to capture the eternal McQueen. Love the idea of ​​a scarf with the belt, so cool! I looove this one! wow wow wow! Fabulous Debi, you really look the part!